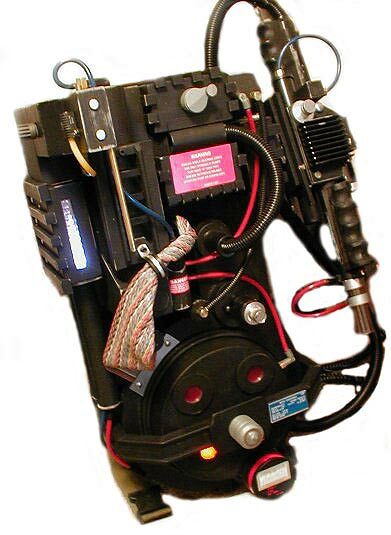 Here is a picture of the proton pack light board kit. This board controls both the 12 power cell lamp sequencing as well as the 4 cyclotron LEDs. The cyclotron LEDs are connected to the board header and some wire is run to the cyclotron area. There are 2 versions of this kit. The first version uses incandescent bulbs. 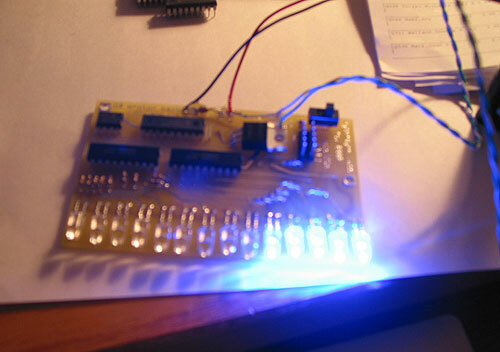 The second version uses blue LEDs. The first kit is screen accurate whereas the LED version offers longer life over the standard bulbs. Both kits offer the same accurate sequencing rates. The 2 switch wires coming off the board re connected up to the master on/off power switch. The 5-pin header ont he board is for connecting the cyclotron LEDs. The power cell lamps are already installed and ready to go. The small onboard switch controls the sequencing speed of the power cell lamps ONLY. There are 2 available speeds that have been calibrated to be as accurate as possible! The reflector base allows you to connect a mirror or other reflective material that will make the lamps appear brighter, like they do with headlights. 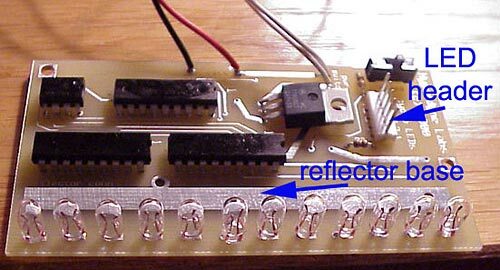 You can solder, screw, or glue a reflector to the marked area. Make sure the reflector does not touch the lamps! Here is a picture of a finished proton pack with the light board installed. NOTICE: There is no warranty on kits!! It is your responsibility to install the board. Kits cannot be returned! This kit can consume a lot of current. Be careful if you plan to use a battery source that is capable of delivering a lot of current. Contact a professional if you need assistance. When finished, power on the circuit and watch it go! Small size: 3.8" x 2.5"